The land around the city of Arezzo has always produced high quality wines and today the 8 D.O.C wines produces are an important testimonial of it. Red wines have always been the most appreciated ones, but also the white wines are a great expression of the Arezzo land. - Visit of a winery of the Strada del Vino Terre di Arezzo, wine tasting (3/4 labels), with tastings of typical Tuscan products. -Departure for the second winery. Visit of the second winery, wine tasting (3/4 labels) with typical Tuscan products. 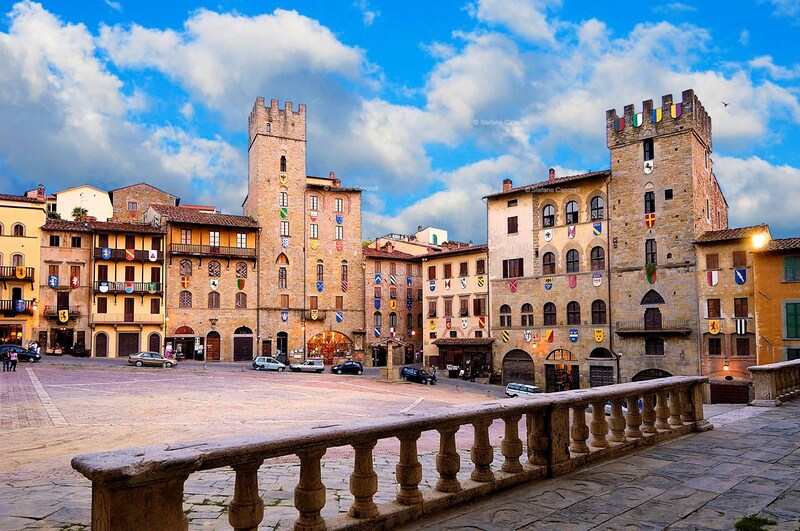 Possibility to book a guided tour of the city of Arezzo, prices starting from Euro 20 per person.